We are excited to announce that the annual GEN-Europe Conference is taking place soon! You are warmly invited to come … and spread the word far and wide so that we will have another great meeting of minds and a sharing of the wealth of the network. 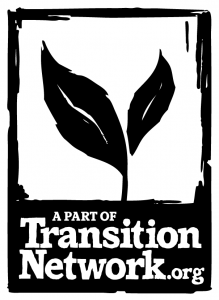 Through nearly 20 years of building the network, GEN has been enriched with fascinating tools for the development of ecovillages, mutual support, interesting people, important connections and deep insights. Let’s celebrate what we have created as a strong network, carrying forth the power to live sustainably in a post-growth world. This year we will focus on strengthening the bonds between the national and local networks as well as reaching out and sharing with the Global South. Amongst other interesting presenters we are proud to welcome Anna Breytenbach, the „Animal Whisperer“ from South Africa. Experienced members from long-term communities will share and support your process in founding or strengthening your community initiatives. We will look into the transition of traditional villages and urban neighbourhoods into living communities and much much more. As always, the success of the conference lies not so much on the presence of inspirational speakers, but on your energy, participation and contribution.